Dubai, UAE, February 24, 2018: With John Lewis heritage and design at its heart, the SS18 collection celebrates authenticity and craftsmanship, inspired by palette of materials, colors and textures across shape and pattern, spanning our entire Home assortment, all intended to elevate everyday items and bring our customers joy through design. Our SS18 Coastal colour update is a refined core of soft neutrals and grey tones mixed with a range of calming blues. This colours are used alongside solid woods, linen and natural materials. For SS18 our accent colours have been influenced by the seaside town of Margate in Kent, giving a more retro, industrial feel. We have introduced some new feature pieces this season to project a sense of British humor, including hand-painted tableware, seahorses and slogan cushions. The SS18 John Lewis Croft Collection is beautiful and considered. It places a focus on heritage, beautiful detailing and design integrity to create a series of ageless pieces that are designed to evoke feelings of harmony and positivity in the home. New for Spring Summer 2018 are a host of modern classics including soft furnishings in hand painted watercolour prints. 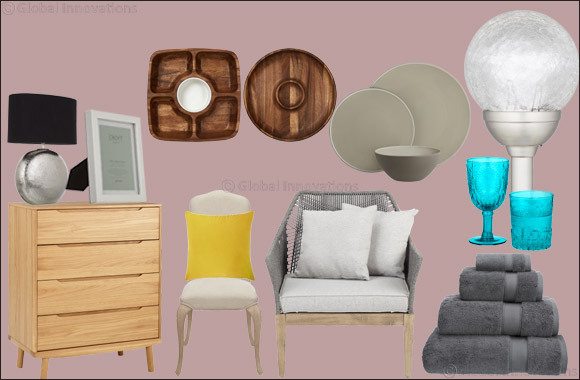 Colour accents and muted prints add character to the collection, which is completed by new additions across furniture, lighting, kitchenware, home accessories and outdoor living. Taking on a brand new aesthetic direction, our updated Fusion collection takes its influence from the beautiful colours seen in the cities and palaces of Rajasthan - famous for its amber, white, blue and pink cityscapes. Our in-house Design Studio drew upon the architecture and interior decoration of the Palaces to inspire both colour palette and pattern, resulting in a fresh and joyful look and feel that creates a serene and uplifting interior. Pattern in the Fusion collection is inspired by the tradition of block printing, mixing small-scale prints with large ikats to create an eclectic, layered look. Woods, glass and metal combine to create texturally interesting furniture and home accessories. Inspired by the beautiful gardens at our Leckford Estate in Hampshire, Modern Country reimagines heritage style with a fresh twist. Natural shades of green, neutrals and soft pinks work beautifully with dark grey, blackberry and bright whites. These tones embolden a pretty palette by creating a sharp contrast. Florals, checks and stripes are the staples of the country look, and can still be effective in a contemporary scheme. Our prints can be used in moderation or offset with a hint of luxury by introducing materials such as lustrous silk and sumptuous velvet. This season, Flora is our hero design of the season. Flora is a painterly floral design which embraces colour and reflects the growing trend of the British consumer being brave with colour use in the home.